Nothing says spring has sprung like the sight of dazzling daffodils. As we cycle through the seasons — and yes, we experience seasons even in our temperate Mediterranean climate — often cool, gloomy winter days are instantly brightened when perky narcissus burst into view with their colorful bloom. 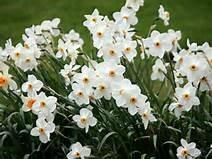 Daffodils, also known as narcissus or jonquils and in England, the Lent lily, are probably our best-known spring harbinger. The American Daffodil Society recommends the name daffodil except in highly scientific papers. Daffodils are wonderful, reliable bulbs for naturalizing — that is, they will multiply over time on their own. Caring for the bulbs after bloom is important for their longevity. 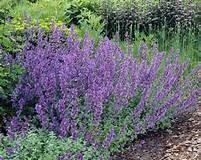 Perennials such as forget-me-nots, hostas, nepeta, daylilies, and ornamental grasses are great companion plants and will provide attractive coverage for the ripening foliage. Overplanting bulb areas with shallow-rooted annuals such as pansies is another option. Alternatively, dig up the bulbs after bloom and place them, with their foliage still attached, in a deep trench in an out of the way section of your garden. Mark the area carefully with golf tees or other reminders to help you find the bulbs when dormant, then dig them up in the fall and replant. When you notice a decline in bloom, the bulbs may be overcrowded and will need to be dug up and divided. Plants can be divided and transplanted while they are in bloom, which may help you find the ideal location for the surplus bulbs. It is important to remove the spent blooms from daffodils, hyacinths, alliums, and tulips. Smaller bulbs such as freesias, crocus, muscari, scilla, snowdrops, and anemones naturalize through seeds as well as bulb offsets, so it’s not necessary to deadhead them. 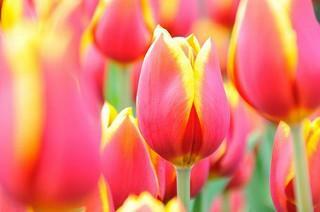 Tulips are far more challenging to entice to re-bloom and are most often grown as annuals. Native to cold climates, tulips need a winter cooling or freeze. To increase the possibility of re-blooming, dig up the bulbs after flowering, protect them in a container of peat moss until fall, then refrigerate the bulbs for 10 to 12 weeks before planting. Or, plan to order a batch of tulip bulbs every year — there’s always a new variety to try.